Monday morning commuters on the Milan Metro arrived at Moscova Station to find themselves at what appeared to be a stop on the Tokyo subway. 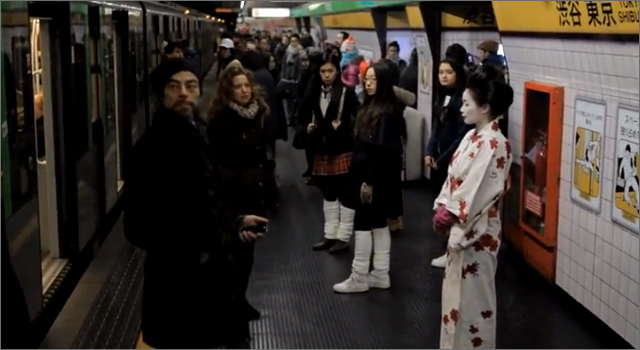 Milan-based agency M&CSaatchi had worked overnight to transform the station’s platform into Shibuya Station, one of the busiest stations on the Tokyo subway in a promotion for Italian internet-provider Fastweb. The subway was staged complete with Japanese signage, advertising, and dozens of Japanese people posing as what everyday Tokyo commuters supposedly look like. Having never visited Tokyo, I’ll have to rely on others to tell me if I would really see Geisha girls on a typical Monday morning commute. Outside of the conference itself, SXSW is known for it’s meetups, late-night parties and general shenanigans. So, seeing a giant fuzzy bunny cruising down the street may not come to a shock to bleary-eyed, hard-partying festival-goers. 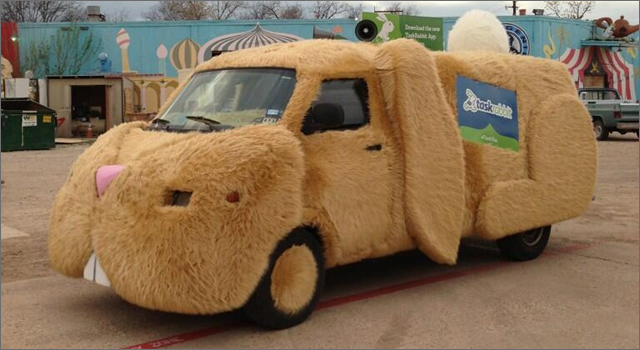 TaskRabbit, the online marketplace that allows users to outsource small jobs and tasks to others in their neighborhood, is turning heads on the streets of SXSW this year in a fur-covered bunny van, complete with floppy ears and fluffy tail. With a hat-tip to the Mutt Cutts Van from the 1994 Jim Carrey/Jeff Daniels movie Dumb & Dumber, the TaskVan is hopping from event to event handing our tshirts and other schwag to festival-goers. 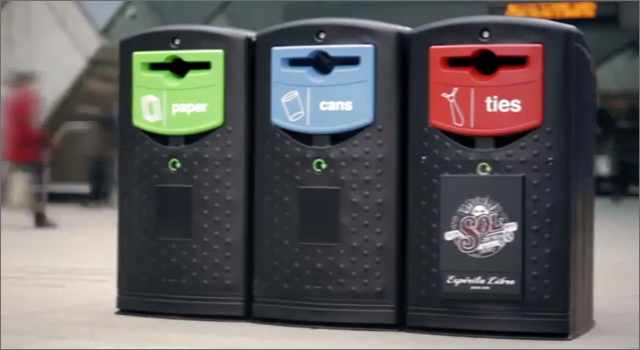 In this stunt for Sol beer, London businessmen passing through Canary Wharf underground station do a double-take as they pass by a recycling bin labelled ‘Ties’. The bin featured the message, “Lose the Tie, gain some Espiritu Libre”. After depositing their tie in the bin, the sound of hammering and sawing could be heard from inside, before what was left of their tie appeared attached to a coupon for a free beer. 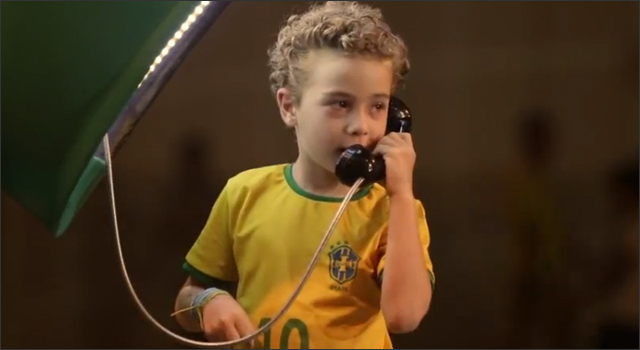 The campaign was created by the London offices of The Marketing Store. In 2010, the independently produced horror movie ‘The Last Exorcism’ became a major hit, grossing a total of $41 million, many times over it’s original budget of $1.8 million. The film generated buzz with a grassroots campaign on Chatroulette, in which a girl begins to unbutton her top before transforming into a frightening vision before the viewers eyes. A clip collecting the best of viewer’s reactions have generated millions of views on YouTube. The sequel, creatively titled ‘The Last Exorcism, Part II‘, is due to be released this Friday. 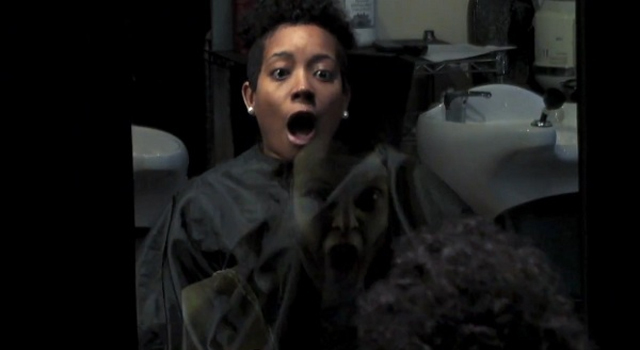 To help generate the same kind of online buzz for the sequel, CBS Films set up cameras in a hair salon and filmed the results as they scared the crap out of customers, thanks to an actress (in creepy possessed-look make-up) positioned behind a two-way mirror. While the stunt is predictable and not well-produced (or at least the video isn’t), but that hasn’t stopped it from generating over 1.5 million views in less than a week. [UPDATE March 3] The film wrapped up it’s opening weekend in fourth place, grossing $8 million. Be warned: Video contains strong language and super-creepy visuals. Since their introduction by Mattel in 1967, more than 4 billion Hot Wheels cars have been produced, finding their way into the hands of children and avid adult collectors alike. While most of the common series of cars can be found for under $2, the highest price ever paid for a Hot Wheel was when a collector paid nearly $72,000 for an extremely rare 1969 pink Volkswagen Beach Bomb. 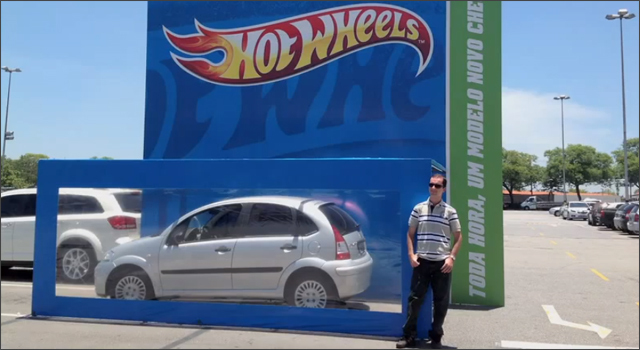 To help people envision their everyday car as a Hot Wheels car, agency AGE Isobar created a cool installation installation in a shopping centre parking lot in Sao Paulo. Drivers could drive their car directly into a life-size replica of the Hot Wheels plastic blister package, and have their picture captured and shared on Facebook. 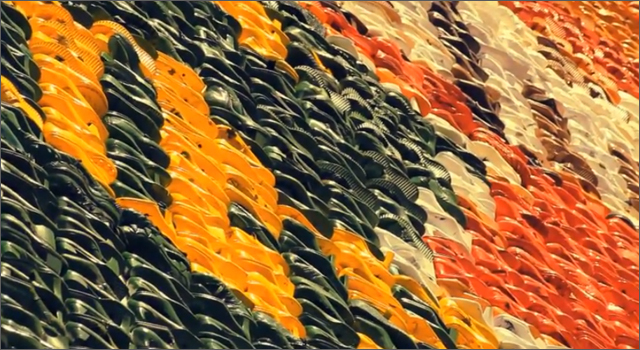 The production crew captured images of nearly 3000 cars in just a week. Here in Toronto, where there’s little doubt that fans will fill the Air Canada Centre tonight for the delayed season opener against the Montreal Canadians, the Maple Leafs organization had the city’s hockey fans abuzz with a unique promotion. 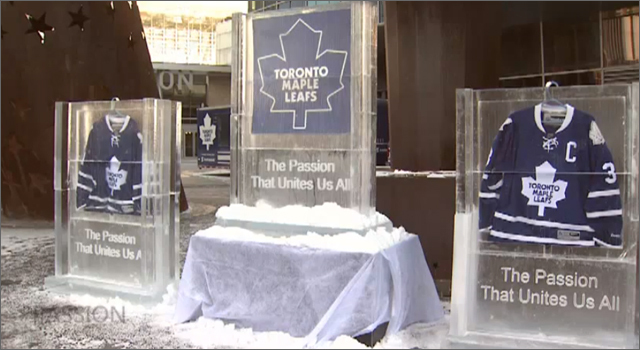 Autographed jerseys of Leafs stars were encased in blocks of ice and dropped off at 9 locations around Toronto. Fans were invited to keep the jerseys if they could get to them. 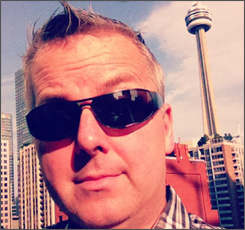 So, just how do you create the world’s fastest Christmas Song? BMW Switzerland and their agency Draftfcb, Zurich first recruited a group the brave singers of Zurich A Cappella, and suited them with safety gear and strapped them into a new BMW M135i. Then set them loose on the Circuit de l’Anneau du Rhin with Deutsche Tourenwagen Masters pro driver Martin Tomczyk at the wheel. Between squealing tires and screaming passengers the group did manage to get through a few verses of Jingle Bells before their adventure was over. Not satisfied withe simply terrorizing vocalists, BMW Switzerland recruited illustrator, Gavin Patterson to create artwork for the ‘World’s Fastest Christmas Card‘ while riding shotgun with BMW precision driver Urs Inauen. The resulting art required labels to help identify Santa and his presents among the marker scribbles. I still do a ‘double-take’ when I notice a payphone on the street. It seems almost inconceivable (and yes, I said that like Vizzini in ‘The Princess Bride’) that this used to be the only way we had to get in touch with someone when we were out-and-about. But chatting with Saint Nick was only the start of the fun for these kids. As they spoke with Santa, lost elves wandered by, and gifts seemed to appear out of nowhere (thanks to sneaky members of the production crew). But there was more, Santa asked the kids to find the star on the pay phone, once pressed it triggered a 3D projection, snowflakes and a Christmas choir.